The 32nd edition of the Jack Nicklaus Cup Matches was held stateside in October to coincide with the first-ever playing of The Presidents Cup in Asia at Jack Nicklaus Golf Club Korea. Played on the Jack Nicklaus Signature Golf Course at Richland Country Club in Nashville, Tenn., 25 foursomes made up of golf professionals at Nicklaus Design courses and members of varying skill levels competed in the annual goodwill event. Players competed in scramble, best-ball and modified Chapman formats, and accumulated Stableford points for their net team. The team representing the Renegade Course–one of six Nicklaus Signature Course layouts at Desert Mountain—came in first place by accumulating 277 points. 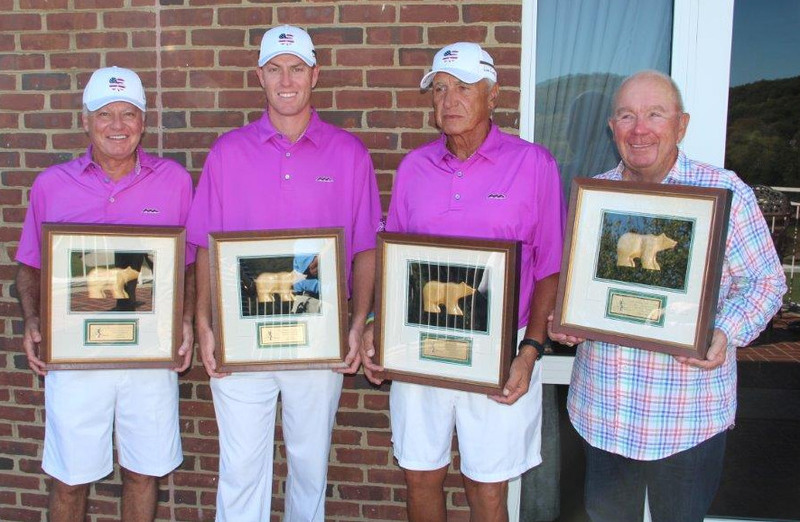 The winning foursome was made up of Head Golf Professional Luke Hemelstrand and playing partners Alton Jones, Bill Murphy, and Stephen Pook. One of two host course teams representing Richland Country Club (Team No. 1) placed second with 262 points and Team No. 2 of three participating teams from Barrington Golf Club in Ohio placed third at 253. Teams traveled from Russia and Canada to participate in the event, along with teams from eight U.S. states. Participating clubs were Barrington, Bayside Resort Golf Club (Delaware), Bear Lakes Country Club (Florida), The Club at Carlton Woods (Texas), The Club at Hokuli’a (Hawaii), Concession Golf Club (Florida), Desert Mountain (Arizona), Governors Club (North Carolina), Montreux Golf Club (Nevada), Nicklaus Golf Club at LionsGate (Missouri), Nicklaus North (Canada), Richland Country Club, Skolkovo Golf Club (Russia), SouthShore Golf Club at Lake Las Vegas (Nevada), Spring Creek Ranch (Tennessee), and Tseleevo Golf & Polo Club (Russia). Since its inception in 1984, the matches have been held for the fun and challenge of the Nicklaus Design family of golf courses. The event has proven to be an excellent format for keen competition, but more important as an opportunity to establish camaraderie among Nicklaus Design’s affiliated golf courses. Participants annually enjoy a welcome dinner, a 54-hole tournament, and an awards ceremony—plus the opportunity to network and bond with members of Nicklaus Design golf courses around the world. The Jack Nicklaus Cup Matches are managed and staged by HNS Sports Group of Dublin, Ohio. A 2016 date and location have not been announced, but if your Nicklaus Design golf course is interested in hosting the event, contact Pat Ross at pross@hnssports.com or call 614-889-6821.